Incheon: a city of bright lights, technologically advanced infrastructure and an old, cultural soul. Incheon is the transportation hub of South Korea, an enigmatic city filled with bright and tall skyscrapers, and upon closer inspection, lots of cultural heritage too. Incheon has a population of around 3 million residents, making it the third largest city in the country. Top tourist attractions include Incheon Chinatown, Muuido Island and Jajangmyeon Museum. Set your sights on this beautiful city with cheap flights to Incheon available for a limited period of time. Incheon is home to Incheon International Airport (ICN), located on a 12-minute express train ride from the city centre. Incheon International Airport serves a number of airlines, including Emirates, Ethiopian Airlines, Cathay Pacific and South African Airways. There are no direct flights from South Africa but popular connecting flights depart daily from Cape Town and Johannesburg. Like all across South Korea, you will find beautiful temples scattered across the main city area of Incheon, as well as across the tall hilltops on the outskirts. For those interested, there are even temple tours that visitors can take. The Incheon Fish Market is the biggest in all of South Korea with hundreds of seafood stalls and plenty of opportunity to purchase and sample the freshest cuts of fish that you can find. A seafood lover’s dream, all located in one central complex! 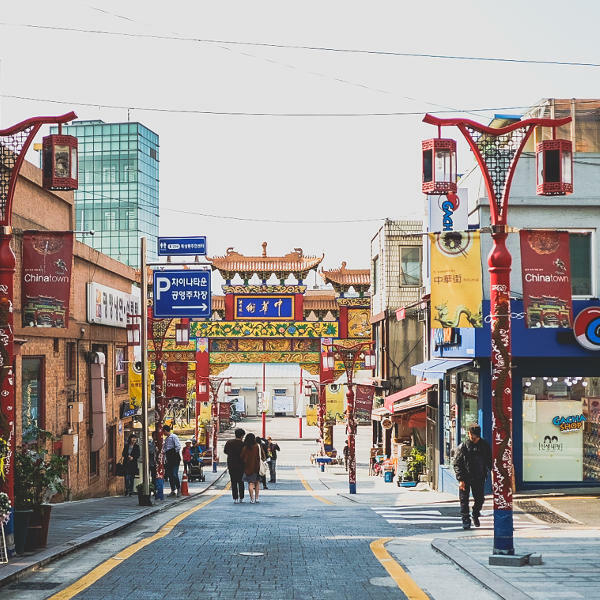 For a feel of authentic Chinese culture and heritage, visit the largest Chinatown in South Korea, situated right in the centre of Incheon. There are museums, restaurants, trinket shops and architecture to marvel at. The city of Incheon experiences wonderful summer and spring months, with higher levels of humidity during summer. The best time to visit Incheon is either in spring or autumn, when the temperatures are warm and mild. Incheon is known for its grand parks and hilltop hiking, so make sure to plan in some outdoor activities during these pleasant seasons. Spring falls between April and May, and autumn between September and November. During these months you can enjoy lovely daytime averages of around 23°C. Summer falls between June and September and experiences rain and humidity. During winter, December to February, you can expect some icy days with temperatures falling below 0°C. Incheon is most well-known for its five-star airport that sees millions every year. However, there is lots to do and see in this modern, metropolitan city and visitors are guaranteed a good time. There are also numerous islands surrounding the city, making summertime a must in a city with beaches galore! Of the islands that border the city, some of the more popular ones include Muuido and Silmido islands. These are great little city escapes and perfect for hiking, sightseeing small villages and enjoying the beaches. 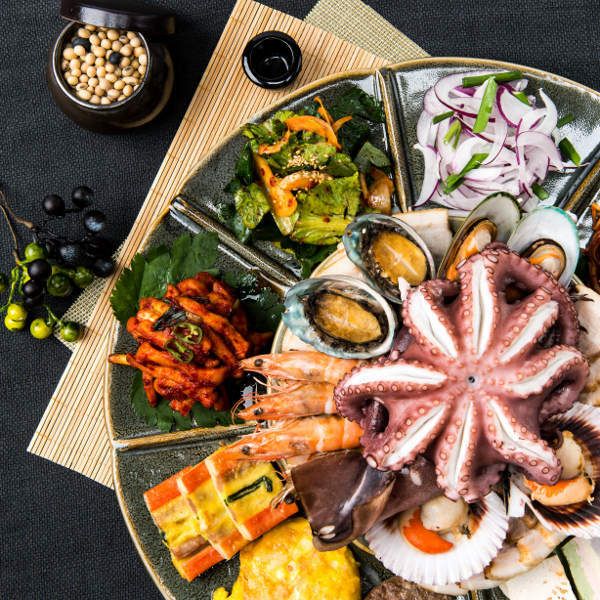 As for its location on the coast, rest assured that Incheon has some of the freshest and tastiest seafood in all of South Korea. Visit the world-famous, Incheon Seafood Market for the largest variety of crab, shellfish, lobster and more. The city, as modern as it is, is also filled with lots of Korean history and religious sights. Take some time out to see some of the beautiful temples across the city, which include the Heungryunsa and Bomunsa Temple. Compare several airlines and book your cheap flights to Incheon with Travelstart today! South African passport holders do not require a visa when travelling to Incheon or anywhere in South Korea for up to 30 days. However, visitors embarking on business trips do require a visa. Ensure your passport has two blank pages for entry stamps and has a validity of at least six months. Incheon is a safe city with low levels of crime being reported. However, as the city is very big and popular with tourists who take advantage of international stop-overs, do be on the lookout for petty crime thieves. With this in mind, it is always a good idea to practice caution, as in any large city. Avoid flashing expensive possessions and do not walk around alone late in the evenings. It is recommended to get all of your routine vaccinations 4 – 6 weeks before any trip abroad. For your trip to South Korea, proof of yellow fever vaccination is required if you are travelling from an infected area. Other routine vaccinations include hepatitis A & B, typhoid, rabies, Japanese encephalitis, MMR, diphtheria, polio, tetanus, and malaria.